January and February events: A gap in the drizzly grey skies over Peterborough recently, left the city’s Nene Park sparking under a fine bright blue sky. 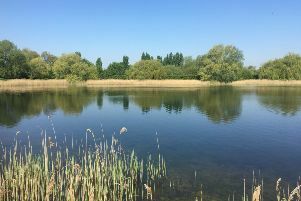 But while the chilly weather has kept all but the hardiest of visitors away from the park, officials of the Nene Park Trust have been working on a new programme of activities to keep visitors occupied. The new programme includes guided walks through the park to see many of the sights, on 28 January, looking at some of the winter birdlife. The Wildlife and Landscape of Nene Park Exhibition is still up and running until 28 February, showcasing photos taken around the park. There is a Nature Tots group for parents and toddlers, which meets on 9 February from 10am to 11.30am. There is a Half term trail from 14 - 22 February, between 10am-3pm aeach day, suitable for all ages. Other highlights in the early part of the year include a Beginners Photo session, and a Wild Wednesday grass head monsters group both taking place on 18 February. For details and meeting places see www.neneparktrust.org.uk.